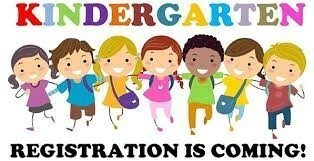 Warren Township Elementary buildings on Monday, April 8 from 5:30-7:00 P.M. After April 8, kindergarten registration will be held at elementary buildings during school day hours. Students are assigned to a school based on home address. To inquire about your school assignment, contact the Transportation Office at 532-2820. Items required to register your child include birth certificate, proof of residency, proof of immunizations, and proof of custody (if necessary). Access the Kindergarten Roundup Flyer here for all details.